THPBlog: W.M. Beaty & Associates to log near Lake Britton and Highway 89. W.M. Beaty & Associates to log near Lake Britton and Highway 89. This THP is about 3 miles north of Lake Britton near the junction of Highway 89 and Shasta County Road A19. W.M. 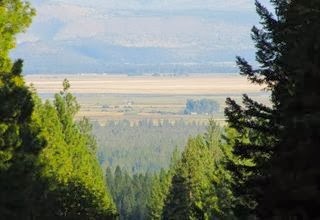 Beaty & Associates is planning a tractor based logging operation in ponderosa pine, sugar pine, incense cedar, Douglas fir and white fir forests. There is 1 unstable area near where 2 roads bisect which will be excluded from logging, and 750 feet of existing road will be used inside a class III watercourse, and 8 landings will be used inside or adjacent to class III watercourses. 38 road drainage sites are planned for work including rocking, dip construction and culvert repair and replacement. Wildlife sightings include; a sharp shinned hawk sighting .5 mi east of the THP area, a Cooper's hawk and marten sighting 1 mi north of the THP area, and a fisher and goshawk sighting 1 mi south of the THP area. More information is available on the THP Tracking Center website.